A lot of blog posts and talk is currently surrounding Christmas films, so I decided that I would think about what makes a good Christmas film. Especially as it’s not that we get new quality Christmas films every year it always seems to be older now classic films which everyone makes sure they watch at some point in the build up to Christmas. These must have key elements which make everyone love them and want to watch them year in year out. I think that does help make these films extra special, as long as you get the formula right recent times have been more Christmas Turkeys rather than classics. Now this can be a very quick make or break for a film, if Santa is no good you won’t feel it for the film either. Because let’s face it as Buddy the Elf tells us everyone feels like they know Santa. The thought of seeing him is therefore very exciting. My favourite for this is Richard Attenborough in Miracle on 34th Street, I think it’s the beard that sets him apart from other pretenders. 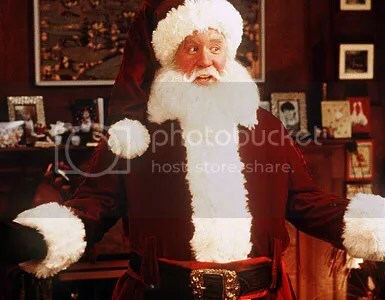 The Santa Clause being another effort as you get to see a dad suddenly transform into Santa, with a more comedy route with Tim Allen in the lead role and I find myself wanting to watch that as well. These first two films I have mentioned also link in with the next talking point of cute children in a Christmas film is always a winner. What about Bad Santa’s? Well the easiest one to mention here has to be the actual Bad Santa from the film of the same name. 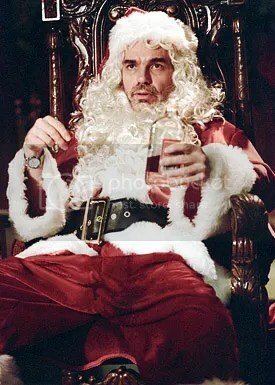 I know some people really love that film and think it’s hilarious because it’s the total opposite of what Santa is supposed to be but here is my chance to admit that I really dislike Bad Santa and don’t get the hype surrounding it all. 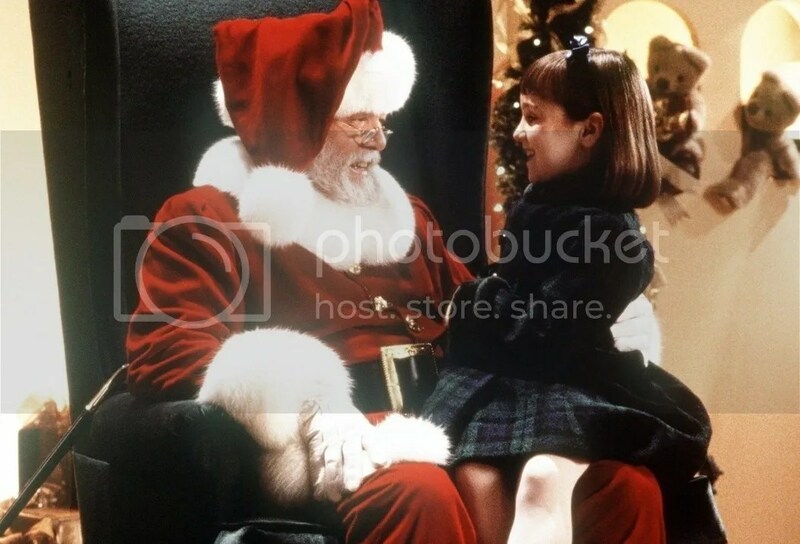 Another key ingredient into making a good Christmas film has to be a cute kid in a leading role, as let’s face it the films we love most from Christmas tend to be the ones we watched as children. So watching a child when you are a similar age really does have a lasting effect. Then as an adult you will probably (hopefully) think the kids are cute, but some people will probably just find the annoying. Either way you have to appreciate the performances! Everyone is on Kevin’s side in Home Alone as he battles to save his house and then has a nice time around New York City, all on his own of course. I don’t think I’ve ever heard anyone say a bad word about Home Alone, my new Christmas jumper arrived yesterday and yes it does have “Merry Christmas, You Filthy Animal” on it! I couldn’t resist, let’s just hope come Christmas day people understand what it is all about. So in any good Christmas film you will find a small child who will have some fantastic heart warming moments and be involved in the best parts really. This cannot be helped, a child at Christmas even with the actors you can see that they are very excited about being in the films and acting like its Christmas. That must be pretty cool for them to do, like getting an extra Christmas instead of just one! 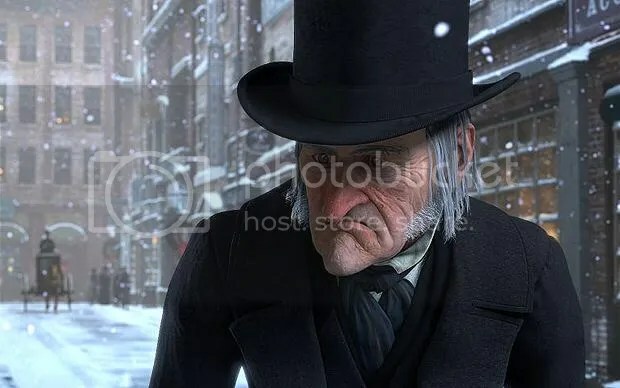 Obviously the most well-known and probably has the most films about him, Charles Dicken’s legendary character of Ebenzer Scrooge. So many different film versions but in the end Scrooge eventually realises the reasons behind Christmas and shows he has a heart. Even if it did take three ghosts to totally terrify him. But the story does give you a fantastic ending and will never fail to make you smile when he has that breakthrough moment. 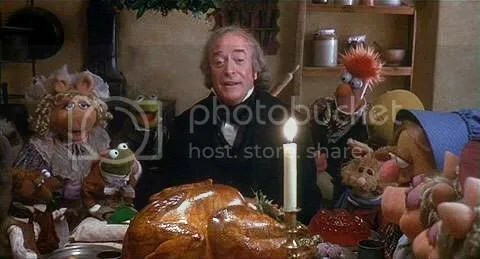 Honestly so many versions exist, different styles of animation, life action, comedy and of course the Muppets got involved as well with a very underrated performance of Scrooge from Michael Caine (in my opinion anyway). He’s so grumpy and “Bah Humbug” is a very well said phrase by anyone over Christmas time who is not enjoying the festive season. 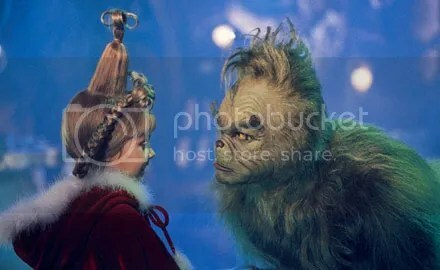 Another reformed character is the very green Grinch, that moment when his heart grows a couple of sizes you will have a lump in your throat after the character who must be based on Scrooge realise that he does have a friend in yes you guessed it a cute child! Although she is pretty annoying as well, I would say but it does have a fantastic Christmas message to go with it. 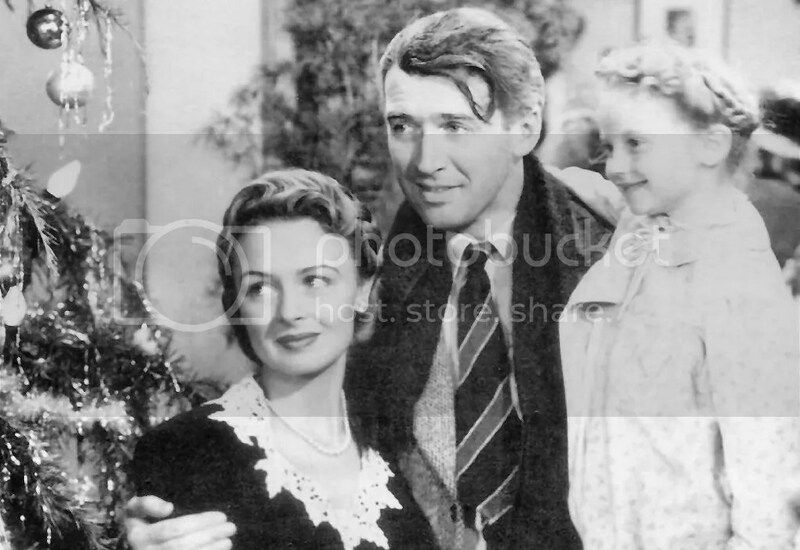 Another reformed character has to be George Bailey in It’s A Wonderful Life, in an incredible performance from James Stewart. George is totally sick of his life and is about to go out of business if he cannot produce the money and he thinks that his family and everyone around him would be better if he hadn’t been born at all. Yes it really is such a sad story from start until the very end when he has his amazing moment when he realises with the help of an angel that it is a pretty wonderful life after all. It is a Christmas classic even if it wasn’t intended to be, it is having a few screenings in cinema’s this year as well. Many Christmas films come and go without really leaving much of an impact, it seems to be a very difficult genre to break into and become a classic with everyone wanting to watch them year in year out. You always watch a new Christmas film with hope that it is going to live up to the expectation that it will capture the Christmas season and warm your heart whilst you are watching. So many try to and fall short of that. 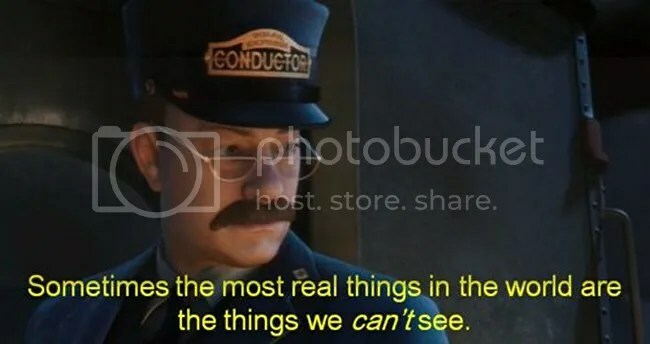 The Polar Express was ground breaking in the animation it used to show that Tom Hanks was indeed in the film. It had cute children and a nice ending but it seems to get left out of Christmas favourites and classics. I remember thinking wow after I had first seen it but don’t think I’ve ever actually watched it again after that first viewing. So why did it fall short? I am not really sure it just didn’t seem to get the credit it deserved. 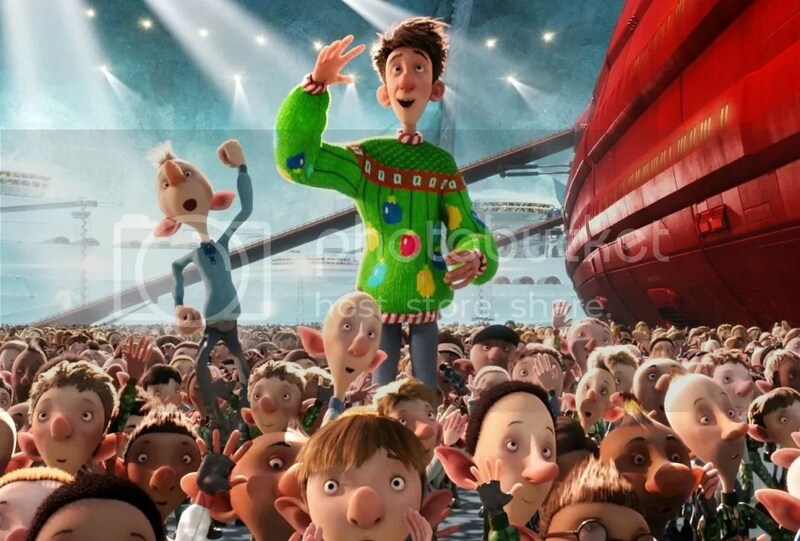 Arthur Christmas, Santa’s son and I guess Fred Claus, Santa’s brother were very similar types of Christmas films. When someone else had to help out and I think that is the very reason they don’t go down as brilliant Christmas films. Doesn’t everyone want to see Santa deliver the presents and make children happy come Christmas day? I guess so. Fred Claus wasn’t Vince Vaughn’s only Christmas film attempt he also had Four Christmases which was probably worse than Fred Claus? Either way they weren’t great by any means at all. Comedy Christmas films don’t seem to work too well if you take the two Vince Vaughn attempts and add in Surviving Christmas when Ben Affleck pays a family so he can spend the holidays with them. Deck the Halls, with neighbours competing to have the best Christmas lights and decorations outside their houses. Although I guess it does look like this really goes on in some places. 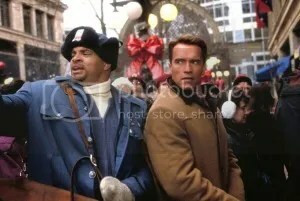 Even my Christmas guilty pleasure Jingle All The Way doesn’t class as a Christmas classic and probably not even relevant anymore about people trying to get the latest toy for their child for Christmas when everyone wants that one thing! So what do you think makes a good Christmas film? I watch Home Alone every year! God, I love, love, love that movie! The sequel not so much, though. Love Actually also very heartwarming. And I totally agree with you on Bad Santa being a horrible movie.. I also love The Holiday, but I don’t know if that counts as a Christmas movie. And if you haven’t seen While You Were Sleeping, I strongly suggest you will this month, for me a great classic. Also Gremlins is a bit Christmas-y. I think Christmas movies don’t actually have to be about Christmas, and Santa the entire movie… right? Your right they don’t have to have Santa involved or be totally about Christmas but I think it sometimes helps. I am so pleased that you don’t like Bad Santa as well. I totally forgot about The Holiday when doing this blog post! It must be really strange being somewhere hot over Christmas. Cannot believe I forgot to mention snow in this blog post!